A stunning new picture book from Newbery Medalist Kwame Alexander and Caldecott Honoree Melissa Sweet! This New York Times bestselling duo has teamed up for the first time to bring you How to Read a Book, a poetic and beautiful journey about the experience of reading. With these words, an adventure begins. 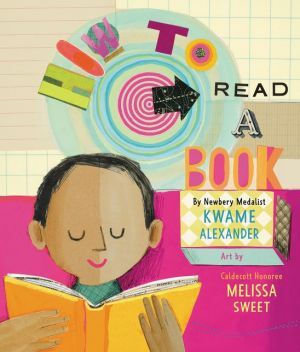 Kwame Alexander’s evocative poetry and Melissa Sweet’s lush artwork come together to take readers on a sensory journey between the pages of a book.